Developed and manufactured in the United Kingdom by Oscar Acoustics and Colinwell Architectural Masonry, Echocheck acoustic blocks have impressive credentials. The Echocheck acoustic block has been specifically designed to help control noise reverberation in both internal and external applications, giving clarity to speech and music or reducing the unwanted sound from noisy machinery, plant, cars, children etc. Echocheck acoustic blocks are fire resistant, load bearing and virtually maintenance free; they withstand frequent impact and quietly do their job for the life of a building. 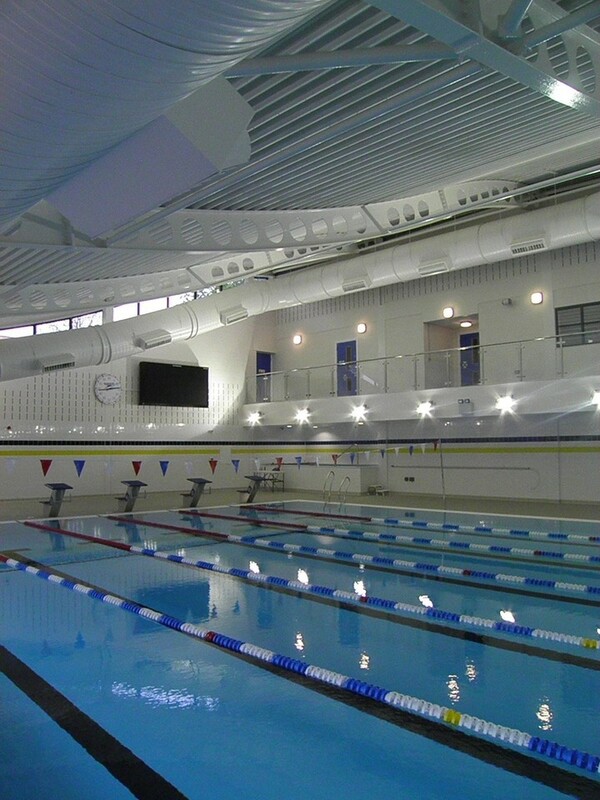 Echocheck acoustic block applications: sports halls, swimming pools, gymnasiums, public halls and lecture theatres. Also, loading bays, anaerobic digesters, plant rooms, factories, external road and railway/road sound barriers. Echocheck acoustic blocks are fair faced, sound absorbing, structural masonry blocks which have the same physical properties as conventional hollow, lightweight or dense concrete blocks. 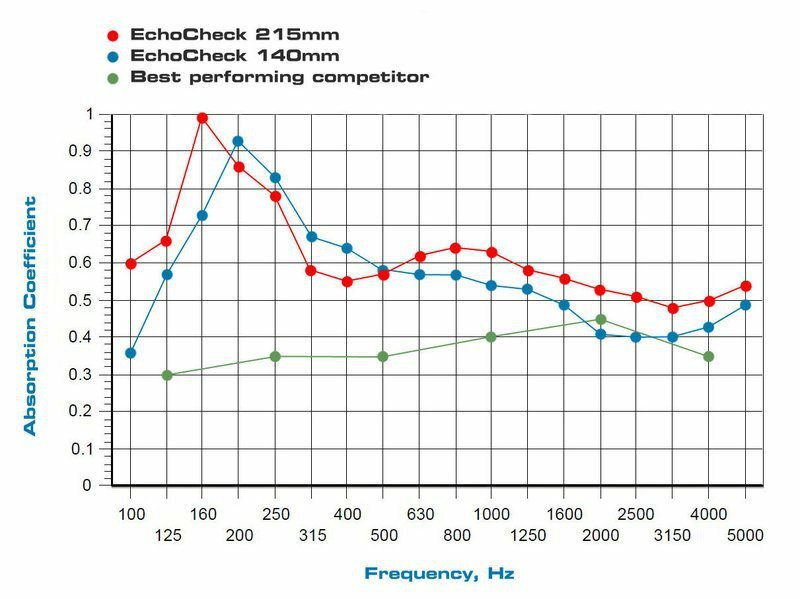 A hint to the science behind the Echocheck acoustic block’s remarkable performance is in its signature vertical sound slot design, using Helmholtz resonator principles, the performance of which is enhanced by a sound absorbent insert contained in the cavity. Installation of the Echocheck acoustic block closes the two T-shape cavity tops creating a sealed pressure chamber. When air is forced into the sound slot, by air pressure changes caused by the sound source, the pressure inside the cavity increases and then releases. This process repeats with the magnitude of the pressure changes, reducing each time as sound energy is converted into kinetic energy and then into heat energy at a level that is barely measurable. It is important for an Echocheck acoustic block to not only absorb as much sound as possible, but to be aesthetically pleasing as well. Designed for use alone or in conjunction with Colinwell Architectural Masonry Acousta Tex or Paint Grade Blocks, the Echocheck acoustic block also benefits from a range of attractive self-coloured aggregates, negating the requirement for decoration. 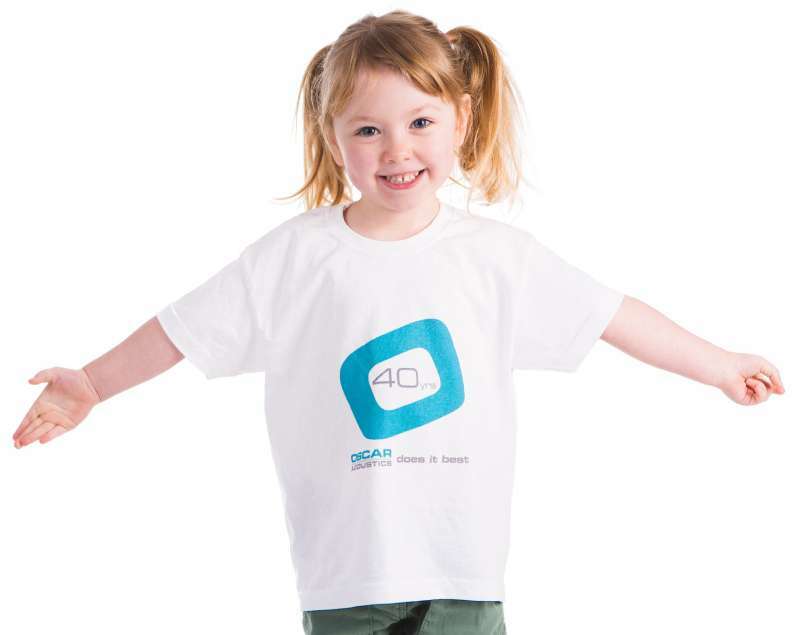 Oscars acoustic blocks are ideal for use in sports halls, swimming pools, gymnasiums, public halls and lecture theatres. Also, loading bays, anaerobic digesters, plant rooms, factories, external road and railway/road sound barriers, bus stations, train stations, road and rail tunnels. EchoCheck Acoustic Blocks should be installed by labour that is skilled in the laying of masonry blocks. All necessary cutting should be carried out with power tools and in such a manner that straight and true edges are provided. No chipped or broken blocks should be used. EchoCheck Acoustic Blocks should be laid in either running or stack bond with the open ends of the cavities facing downward (per illustration to the right and opposite to photo on the left). The slots in the block must be built facing the sound source. Care should be taken to ensure that slots remain free from mortar debris. Paint grade EchoCheck acoustic blocks are also available. In normal conditions a 1:1:6 cement:lime:sand mortar is suitable for use with EchoCheck. It is recommended that the mortar be waterproofed and tinted to compliment the blocks colour. Any surplus mortar should be removed with a trowel immediately, otherwise the face of the block may be permanently marked. The joints should be compacted with a jointing tool, taking care to give as consistent a finish as possible. For best appearance we usually recommend pole/bucket handle jointing. In order to minimise any possibility of colour banding, blocks should be built at random from 3 cubes/bales. *For these colours, we recommend that white cement is used in the mix. For all other colours, grey cement (OPC) is suitable. When built, EchoCheck & Acousta Tex acoustic blocks do not require any initial surface treatment or maintenance apart from occasional washing if desired. EchoCheck and Acousta Tex acoustic blocks are manufactured from cement, specially selected graded aggregates (65% recycled secondary aggregate content), an integral waterproofer and pigment. The production method involves the compaction of these materials under great pressure using specialised block manufacturing equipment and curing the resulting blocks in kilns with controlled amounts of heat and steam. This process ensures that the blocks are efflorescence free. Colinwell Acoustic Masonry is manufactured to BS EN 771.3. Colinwell has achieved Quality Assurance Accreditation under BS EN 9001 and Environmental Management under ISO14001. CE Marking complies with the requirements of the mandate given under the EU Construction Products Directive (89/106/EEC). Complying with BS EN 772.4 the blocks have Drying Shrinkage values of less than 0.04%. Water absorption for all blocks is less than 5%. Acoustic blocks are manufactured to tolerance category D2 within the European Standard BS EN 771.5: 2003. As a rule in excess of 10.4N. Higher strength acoustic blocks available on request. All sizes of EchoCheck Acoustic Blocks are classified as cellular. 100mm & 140mm thick Acousta Tex Blocks are classified as cellular, while 215mm thick Acousta Tex is classified as hollow. 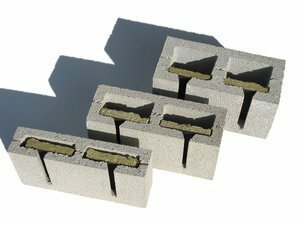 Standard acoustic block components and specials available are: Half blocks, Quoins/Cavity Closers, Squints, Cills, Lintels and Bond-beam blocks can be used to accompany the EchoCheck & Acousta Ranges. Details of work sizes and weights of acoustic blocks are illustrated in our brochure. The co-ordinating size is the space allocated for the block including mortar joints and tolerances. The work size is that specified for manufacture of the block subject to tolerances. Weights are averages and may vary slightly. EchoCheck & Acousta Tex acoustic blocks are available in smooth finish only. Average Density: 2100Kg/m3. Allowing a moisture content of 3% internally; the k value for EchoCheck & Acousta Tex acoustic blocks 1.25W/mºC. EchoCheck & Acousta Tex acoustic blocks are noncombustible and will not contribute to the spread of flame. For the period of Fire Resistance for various types of blocks refer to our Technical Department or to the Fire Resistance section of BS 5628 Part 3. White, Oatmeal, Salmon, Ochre, Cream and Sandstone, are manufactured using aggregates categorised as Class 1. All other colours are manufactured from aggregates categorised as Class 2. EchoCheck & Acousta Tex acoustic blocks can be used in the construction of external and internal load bearing and non-load bearing walls, including the inner and outer leaves of cavity walls, party walls, partition walls and boundary walls. They can also be used as reinforced masonry walls through incorporation of bed joint reinforcement. Shear Bond of Colinwell Masonry is 0.15N/mm2 in accordance with Annex C of BS EN 998.2. The high quality of the acoustic blocks gives them an effective indefinite life. In addition, all acoustic blocks are waterproofed which besides aiding their resistance to rain helps them retain their fresh, clean appearance. Blocks are unaffected by frost. As a general rule the spacing between control joints should be at 6 to 10 metre intervals. These are guideline figures and for specific recommendations we suggest consultation with our Technical Department at design stage. Acoustic blocks are packed in cubes onto wooden pallets and protected with plastic covers. Acoustic blocks are obtainable direct from Oscar Acoustics - delivery to start approximately four weeks from receipt of written order and to an agreed programme.